Business is the engine of the economy. Students will discover the many ways to apply their business education, from accounting, marketing, human resources to business communications. Business Department faculty have real-world experience combined with years of academic teaching. Business Department faculty are dynamic guides to the business world, offering firsthand insights into the real-world practices of a variety of companies and organizations. Productive workplaces depend on efficient systems and technologies, and on the professionals who know how to use and manage them. Courses offered range from Human Relations in the Workplace to Principles of Marketing and Principles of Management. Students can work toward one of several business s offered at Anoka-Ramsey while also pursuing their Associate of Science degree. Many classes are offered online, and some are available on Saturdays. The Business Division's mission directly relates to Anoka-Ramsey's mission of providing excellence in teaching and learning by providing the quality education that prepares students to be successful and compete in a diverse global environment. 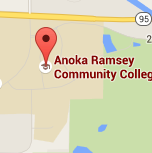 The Anoka-Ramsey Community College Business Division provides foundational courses for a number of business degrees. Each of these degrees can lead to immediate employment or the Associate of Science (AS) degree in Business can transfer to a number of undergraduate colleges and universities for those students who wish to pursue a four-year bachelor’s degree. The Business Division also has a number of articulation agreements in place with regional undergraduate institutions allowing students to transfer their credits to these affiliated institutions. Faculty who teach in the Business Division have real world experience combined with years of academic teaching. A variety of courses fall within this area and are available as fully online, hybrid courses (half online half in the classroom) and traditional residential courses on any of our aligned campuses. The Accounting Department provides a strong accounting foundation to prepare students for entry level accounting employment and for entry into a baccalaureate business degree program. The student-friendly faculty employ accounting knowledge and experience in their classes and hold credentials such as the Certified Public Accountant licensure, Certified Management Accountant licensure, and Master’s in Business Administration degree. Accounting coursework offerings include financial accounting, managerial accounting, intermediate accounting, income tax, payroll, and computerized accounting. Use of computer software is threaded through the accounting curriculum. All classes are available in the online learning environment and most classes are also available on campus. The Business Office Systems Department gives students a valuable introduction to business office systems by focusing on the latest needs of the business community, from Microsoft Office applications to Internet tools, office systems management and communications. New in fall semester 2018. Sharpen your digital business presentation skills! Enroll in BUS 1123: Delivering Digital Business Presentations, a 3-credit online course available for fall semester 2018. Businesses deliver important communications through digital presentations. Effective web conferencing skills are in demand for global audiences and virtual conferences. Learn best practices to run meetings, engage digitally in the employment process, and collaborate using web conferencing tools. EDGAR, the Electronic Data Gathering, Analysis, and Retrieval system. 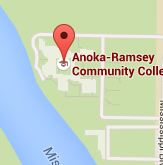 "Anyone of any age wanting to go to college to pursue a degree or general education can come to Anoka-Ramsey and expect a great education and a great time. When you apply for a scholarship, you will likely get one. I received two scholarships my freshman year: The Otto Bremer Scholarship for $1,500 and the Presidential Scholarship for $3,000."